One of Toronto’s beloved Christmas traditions returns! 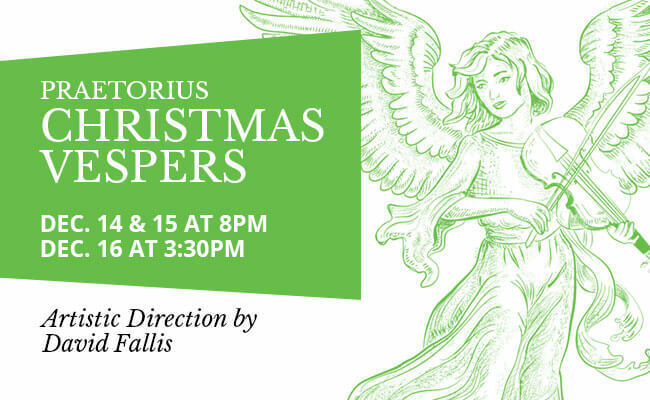 Singers, violins, cornetti, sackbuts, theorbos and keyboards grace the balconies and stage, as we recreate the joy of Christmas Vespers as it might have been heard under the direction of Michael Praetorius in 17th-century Germany. In the spirit of the season, the audience and Consort join musical forces in singing favourite early Christmas carols. A sell-out in previous seasons, this is a yuletide celebration not to be missed!